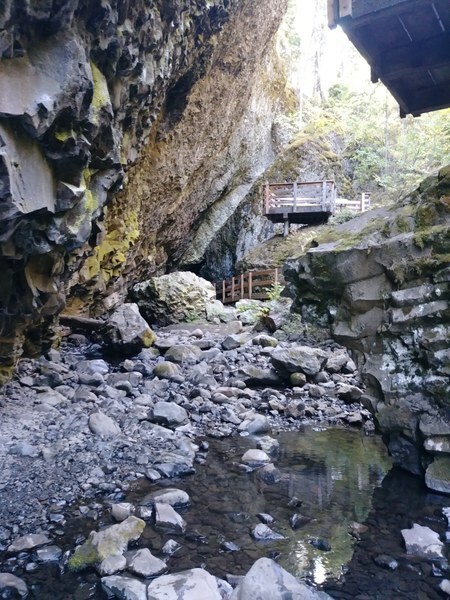 Boulder Cave in the Okanogan-Wenatchee National Forest is home to three species of bats. These bats are highly sensitive to human interaction, so visitors must be very careful. Learn more about these amazing creatures and how we can help protect them. The Okanogan-Wenatchee National Forest is a large, diverse landscape, encompassing over 4 million acres along the eastern slopes of the Cascade Range. It's home to the one and only Boulder Cave located east of Mt Rainier National Park. Hours: This day use site is open 8am to 8pm; the main access gate is closed at 8pm each night. What makes this cave unique is not only the geology of the area, but the bats that inhabit the cave itself. Boulder Cave was created when Devil Creek cut through the Miocene Yakima Basalt volcanic flow ten to fifteen million years ago. Devil Creek undercut the fractured basalt, causing the canyon wall to slide down, bridging the creek and thus forming Boulder Cave. During the 1930s, the Civilian Conservation Corps built the trails up to Boulder Cave. The trail begins at the picnic area and climbs gradually for ¾ of a mile before descending into the cave. The cave trail itself is roughly a 400 foot rocky trail alongside Devil Creek. Stairs leading out of Boulder Cave. Photo by Regina Robinson. 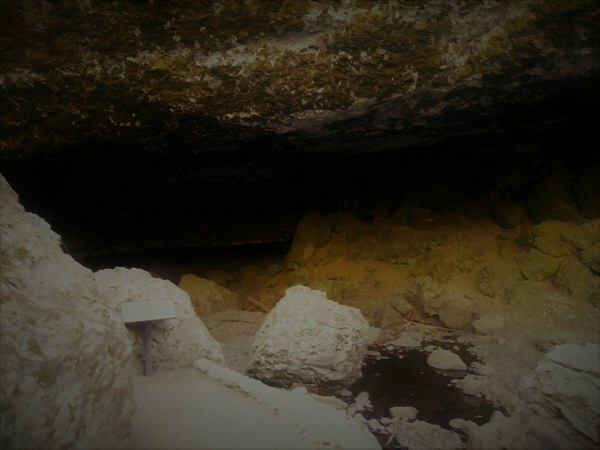 Even before the trail was built, the cave attracted many visitors, causing the resident bat populations to decline in the 1920s; bats are extremely sensitive to human-caused disturbances. It's important not to disturb hibernating bats. If a bat rouses early from hibernation, it must use its fat reserves to increase its body temperature. A single disturbance costs a bat as much energy as it would normally expend in two to three weeks hibernating. As a result, if disturbed multiple times, hibernating bats may starve to death before spring. Therefore, bat roosts which experience repeated human visitation frequently show severe population declines and abandonment. Bats are critical to our environment because they consume more than their body weight in mosquitoes and other flying insects to prepare for pregnancy and hibernation. White-nose syndrome is a fungal disease caused by “Pseudogymnoascus destructans,” a cold-loving fungus that is fatal to bat colonies. The disease has been estimated to have killed millions of bats in North America since 2006, and it's very deadly for bats in hibernation. To protect the caves containing wintering bat colonies, visitation is closed during the fall and winter months. Visitation is open from April or May through October 1. 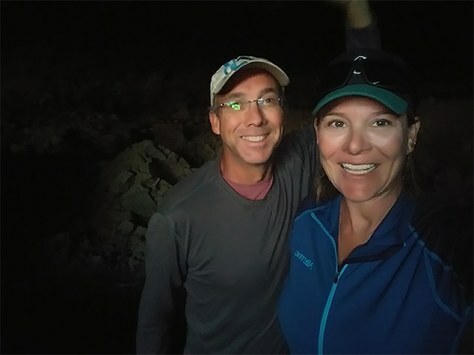 The longer closure will help prevent the spread of white-nose syndrome and decrease human disturbances to the three species of hibernating bats who call this cave home. This includes the rare Pacific Western “Townsend” big eared bats. There are only a few colonies known to exist in the Cascades. 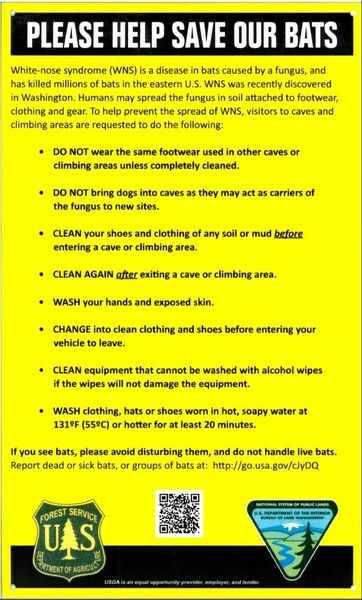 If white-nose syndrome were to reach Boulder Cave, it would have the potential to wipe out the entire bat population. At this time, white-nose syndrome has not reached Boulder Cave. Entrance to Boulder Cave. Photo by Regina Robinson. From Enumclaw, head east on State Route 410 to Chinook Pass, continuing east to The Boulder Cave Natural Area located near milepost marker 95 on State Route 410, approximately 32 miles west of Naches. There is a sign on the road pointing toward the Boulder Cave Day Use Site. Turn right onto Forest Service Road 1706, cross over the bridge, and come to a road junction. Turn right, then follow signs to Boulder Cave (about 1.4 miles from the bridge).